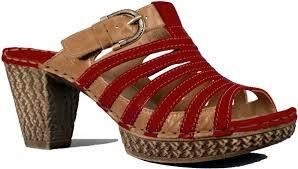 Gorgeous Summer Shoes from JS, stunning quality and comfort, shoes you can wear all day without having tired and achy fee. All wrapped up in a fantastic price, the start around £65.00 which is a stunning price and shop around as the prices do vary. The Julia 03 come in various colours. The Caspian come in patent material, or with patterned designs, around the £65.00 mark to buy, they are casual shoes, look great with jeans, shorts, skirts etc. Top comfort with the leather footbed and moulded PU sole unit.